Companies other than Apple that have a tablet on the market may well shudder when they see the results of a survey published on Wednesday. The overwhelming majority of the survey’s respondents who said they were thinking about purchasing a tablet said the iPad was of most interest – 94.5 percent to be precise. 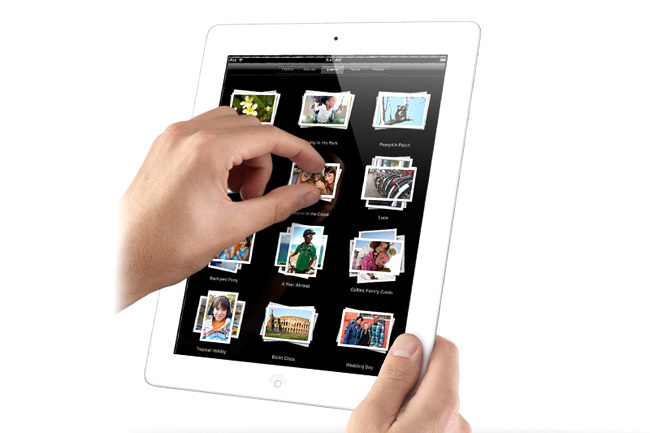 Next was Hewlett-Packard’s TouchPad, with 10.4 percent saying they would consider it. Coming second will be cold comfort for HP, which appears to be having trouble shifting its TouchPad, despite recent price cuts. Baird pointed out that the top four tablets of interest to potential buyers – the iPad, the TouchPad, Samsung’s Galaxy Tab 10.1 and Motorola’s Xoom – all have screens of around ten inches. RIM’s PlayBook, with a 7-inch screen, came in at sixth and was of interest to only 3.8 percent of potential buyers. A couple of months back there were reports of RIM scrapping plans to release a 10-inch PlayBook because sales of the 7-inch device had been so disappointing. Looking at these results, it seems as if it’s the 7-inch device they should be scrapping, in favor of a 10-inch tablet. The results of the survey showed that consumers between the ages of 30 and 40 are the most interested in buying a tablet, while actual ownership is most prevalent in the 40 to 50 and 50 to 60 age groups. 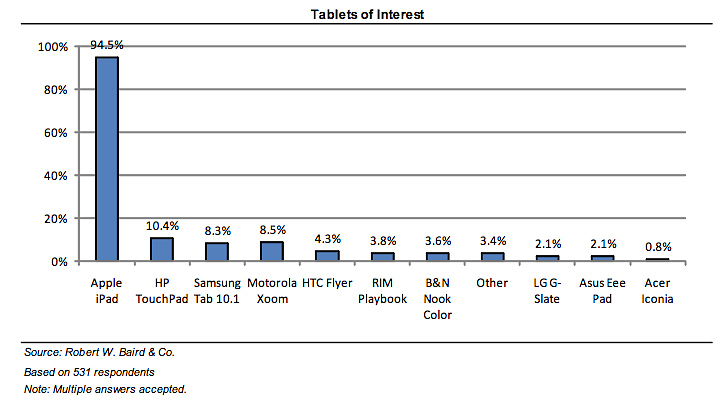 The 18 to 22 age group showed the least interest in purchasing a tablet. Baird’s research also pointed out that although tablets are becoming ever more popular, they’re unlikely to be replacing the humble PC just yet. Among the survey’s respondents, 83 percent said they couldn’t do without their PC.